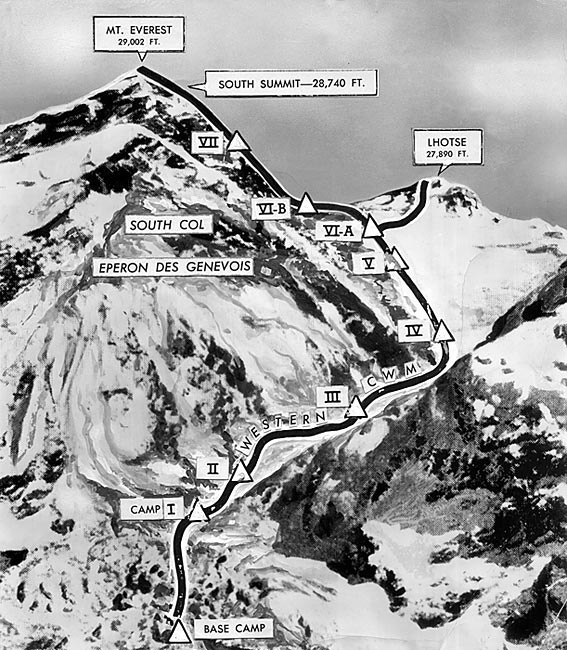 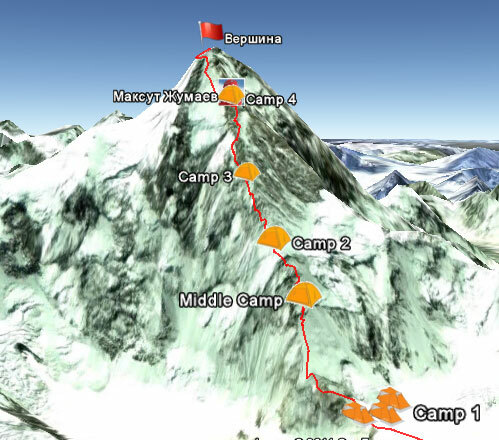 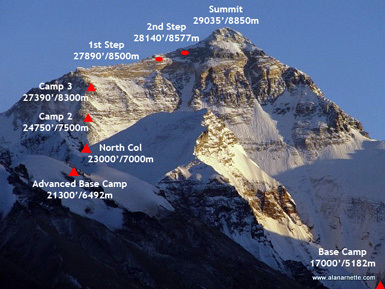 Camp 1, Camp 2, Camp 3, Camp 4. 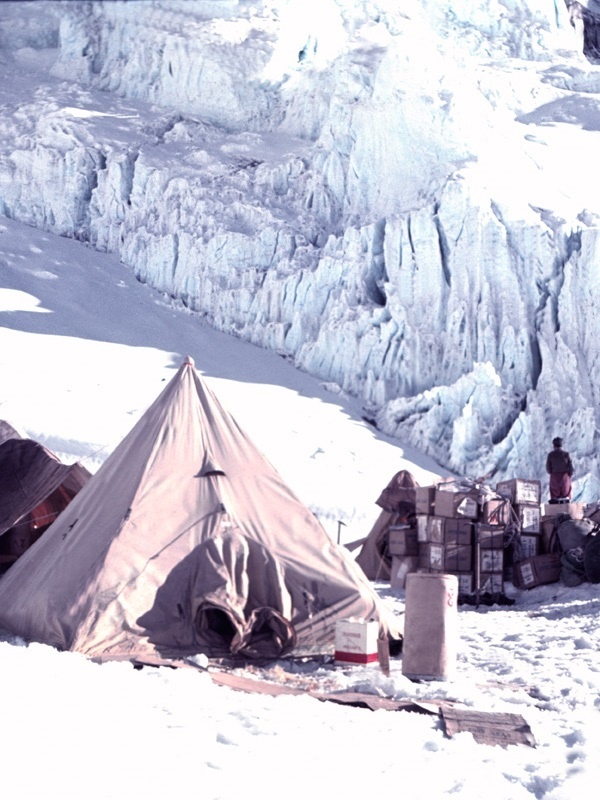 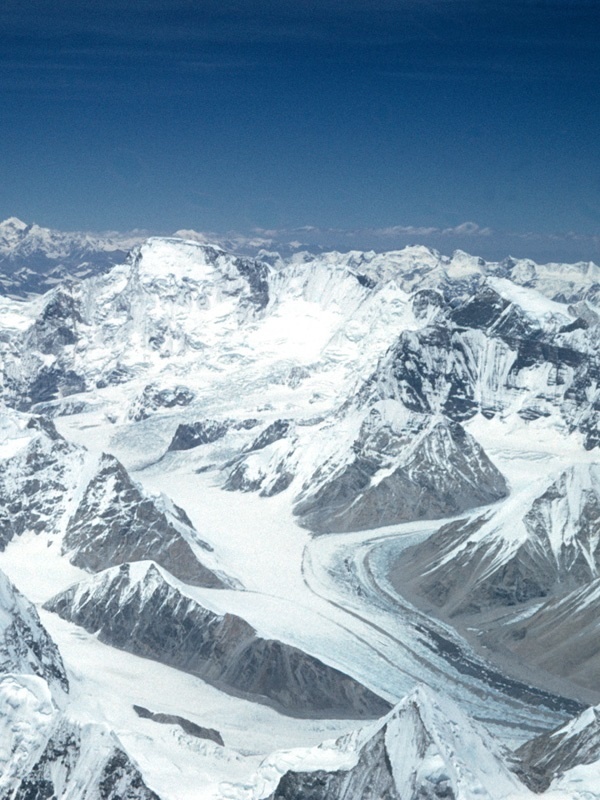 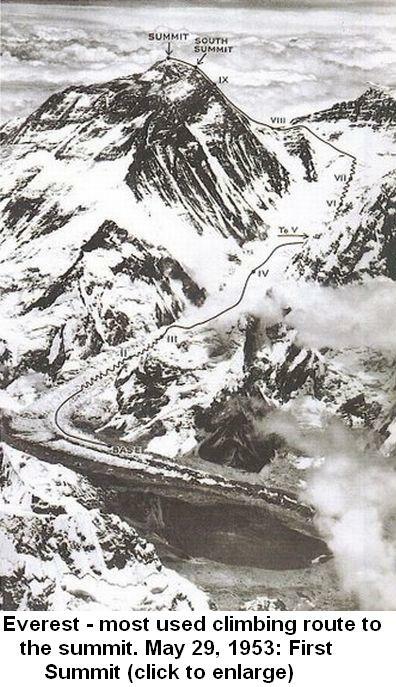 29th May 1953 - West view from the Summit of Everest taken by Edmund Hillary. 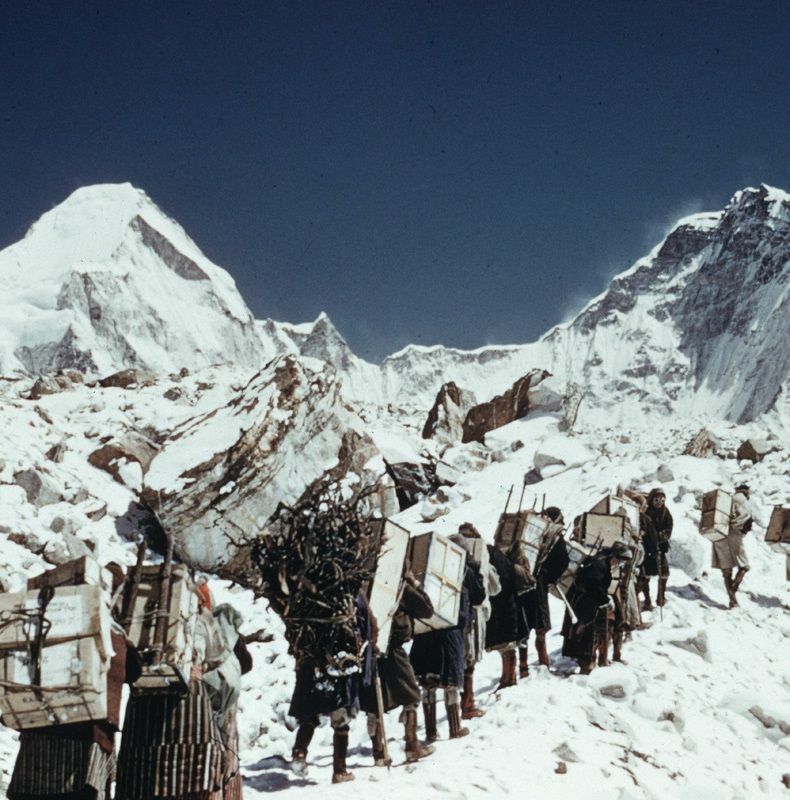 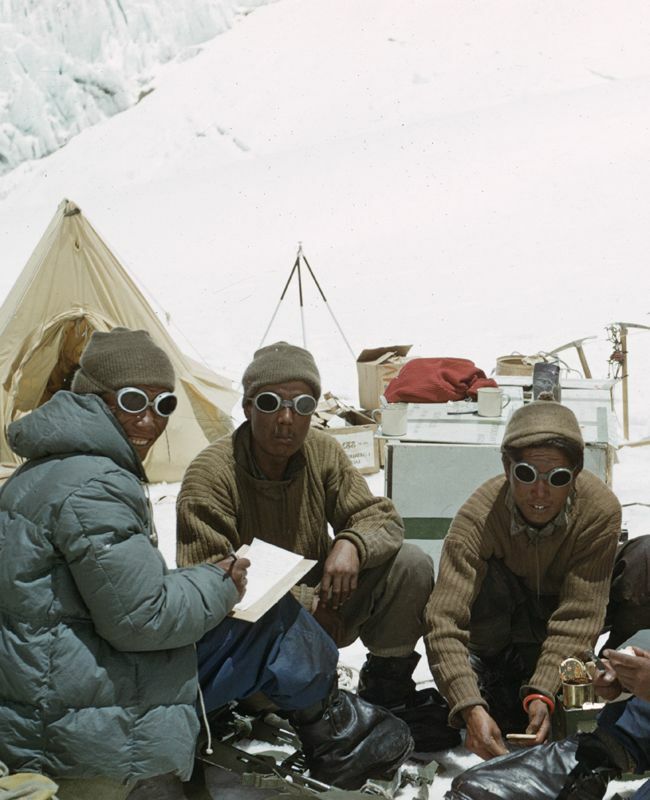 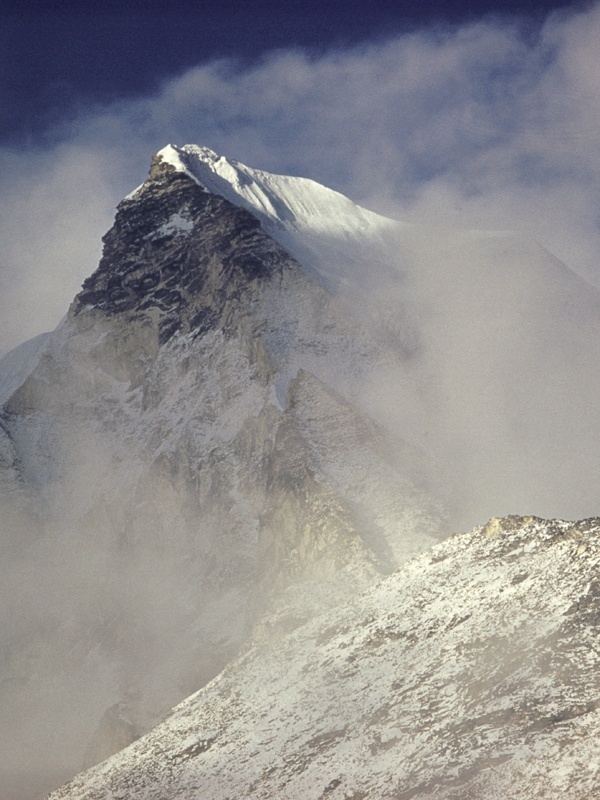 1953 - The sunlight glints off the peak of Everest which is obscured by cloud. 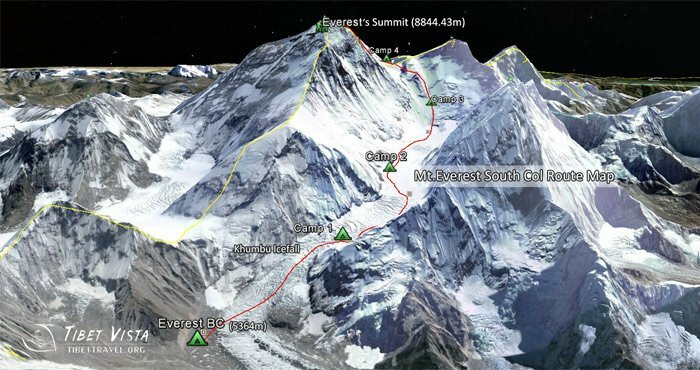 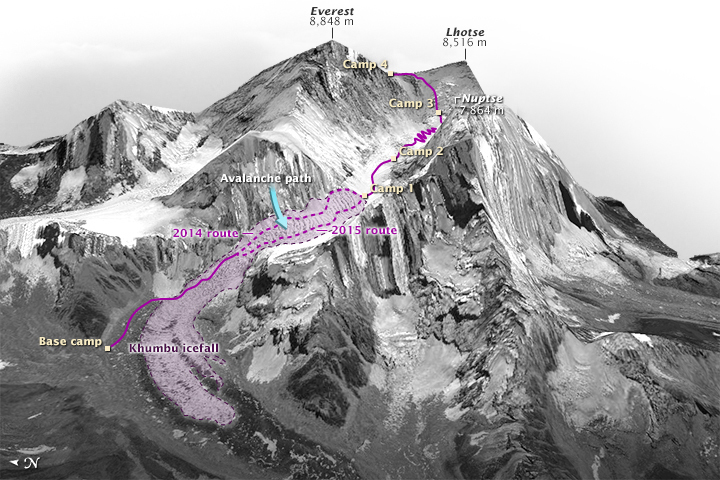 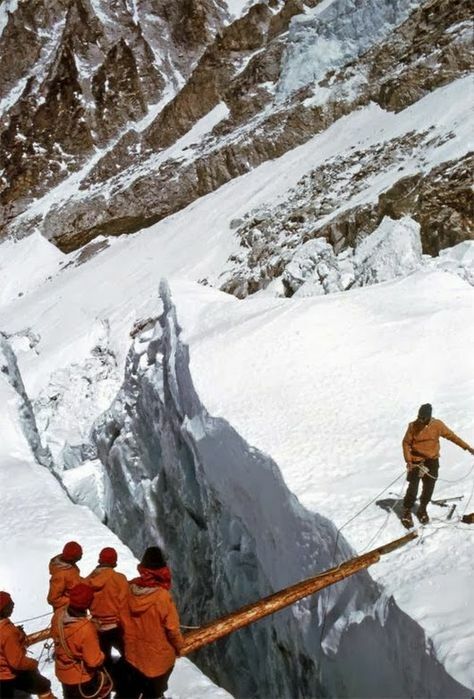 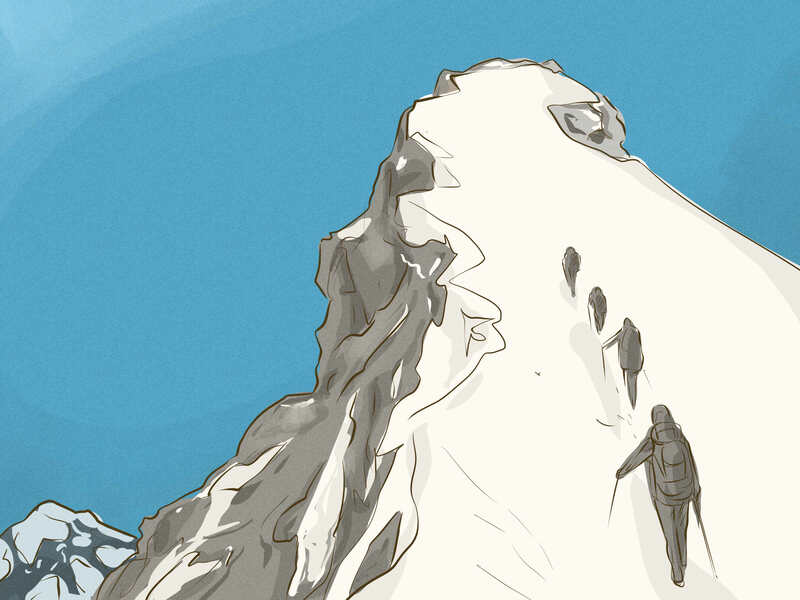 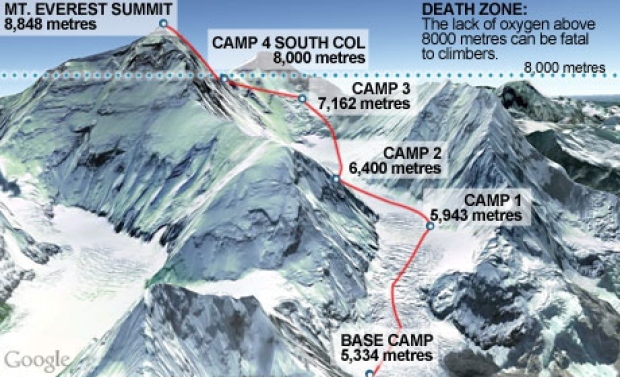 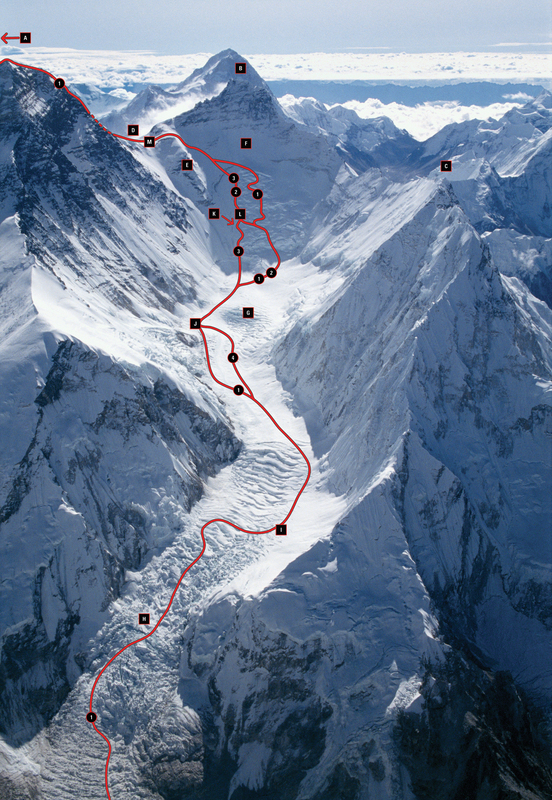 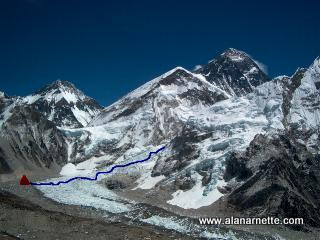 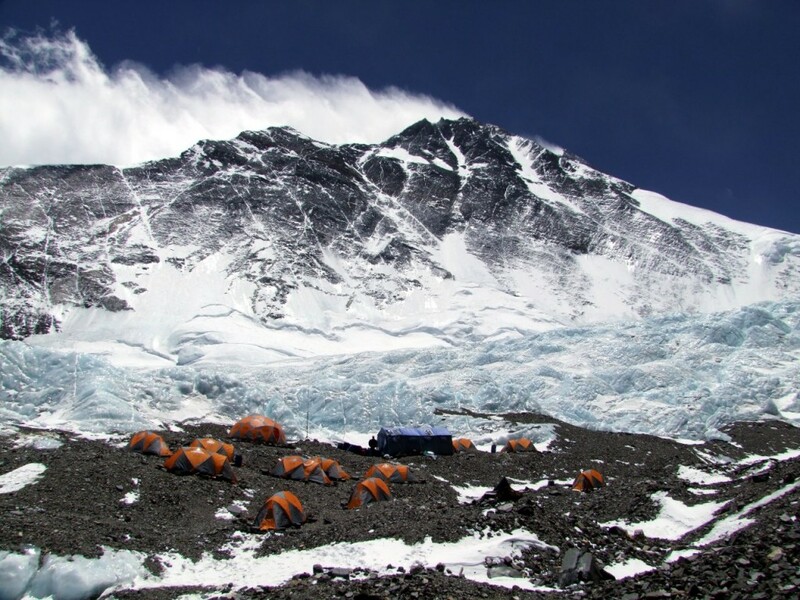 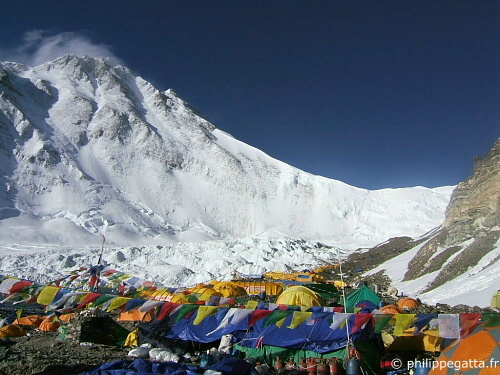 The Everest summit, as seen from the Lhotse Face. 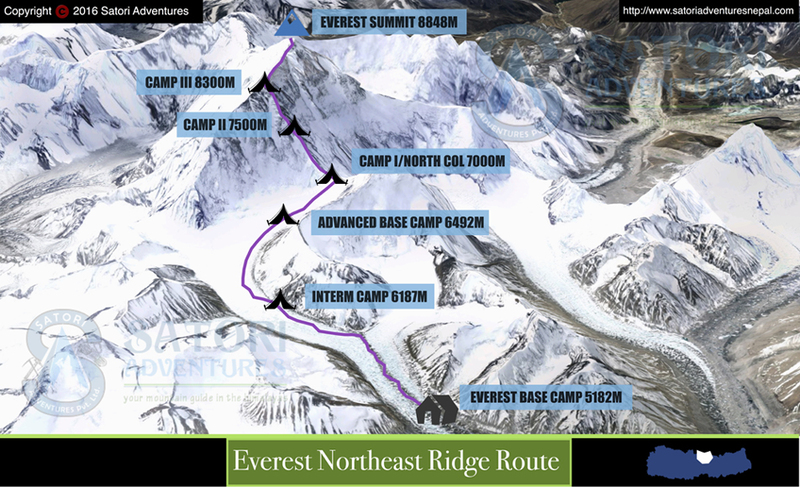 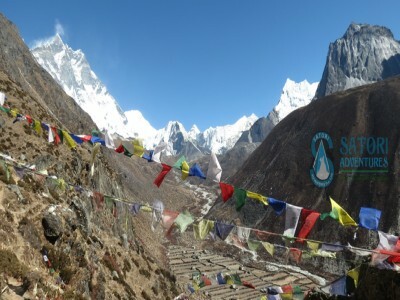 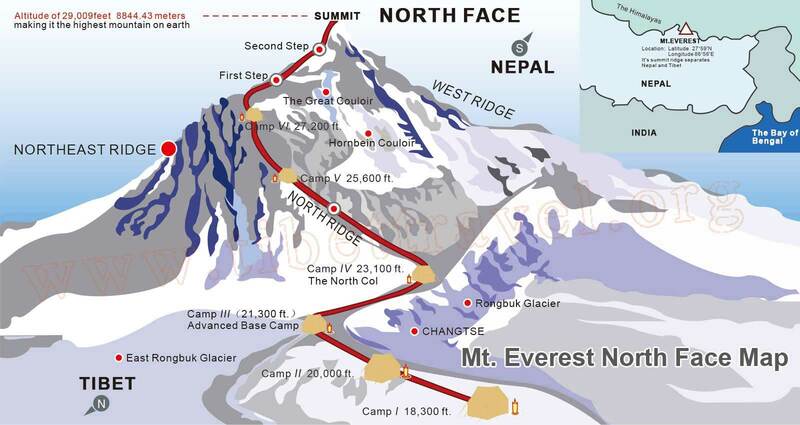 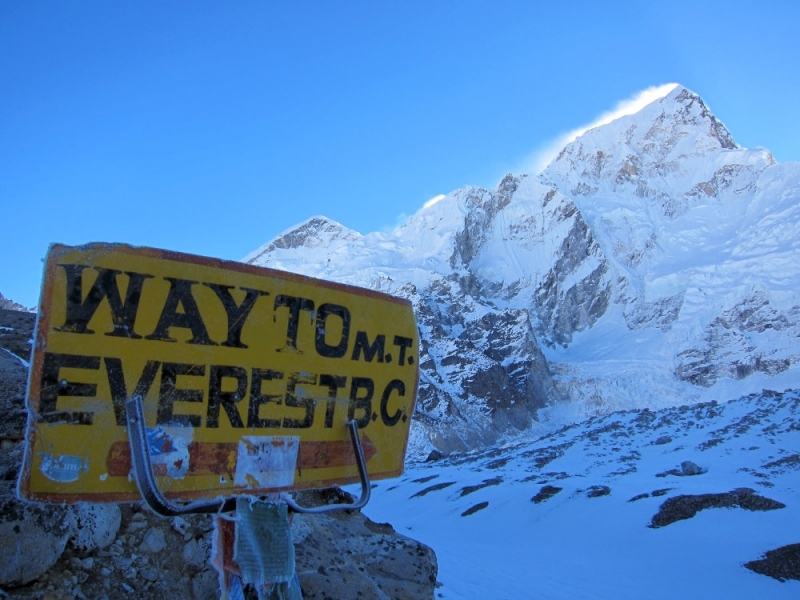 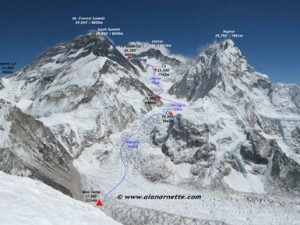 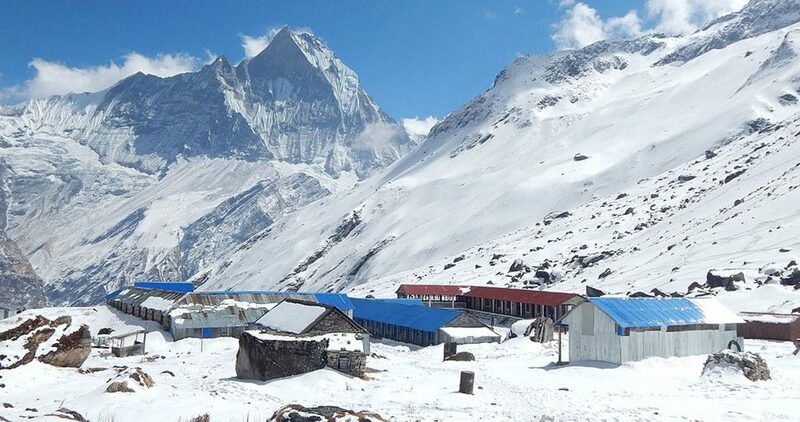 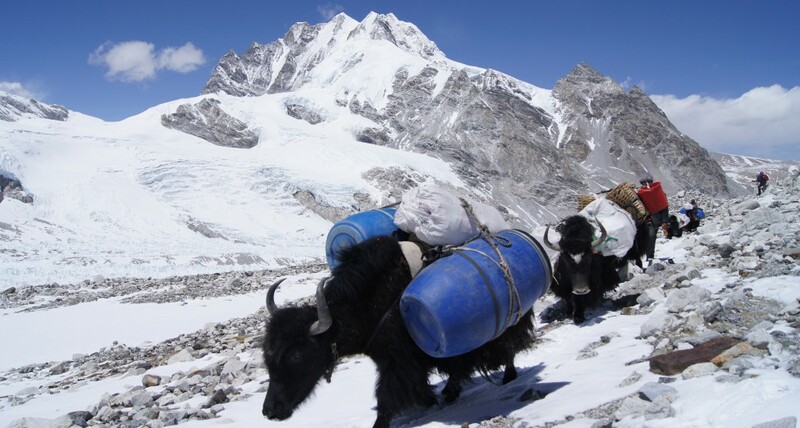 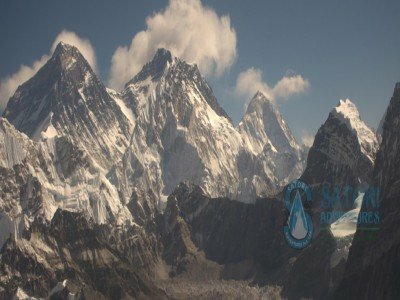 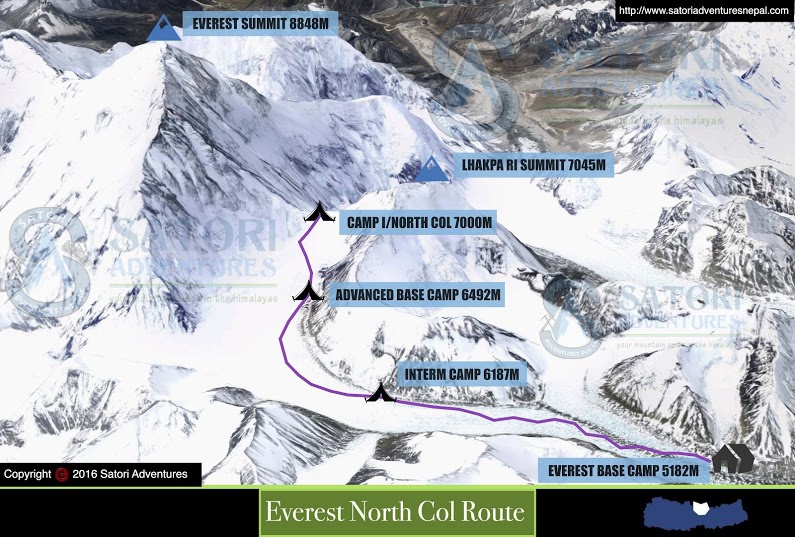 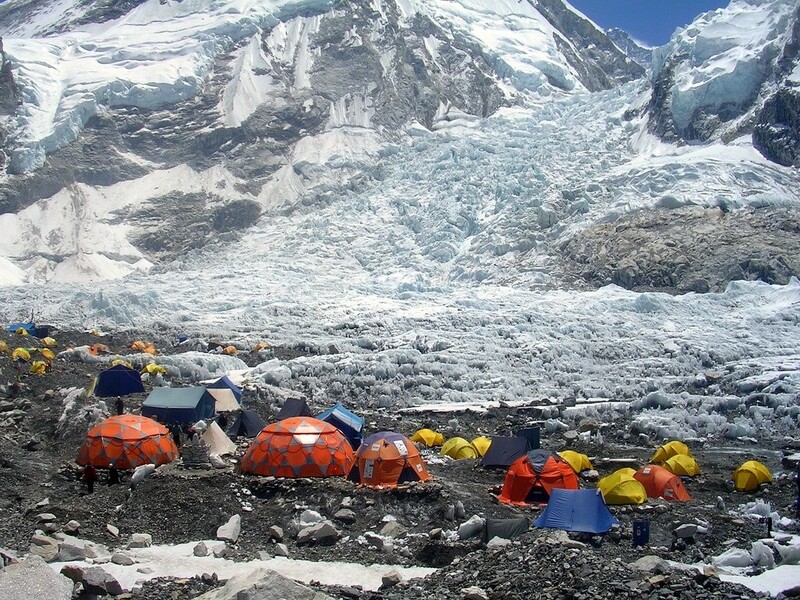 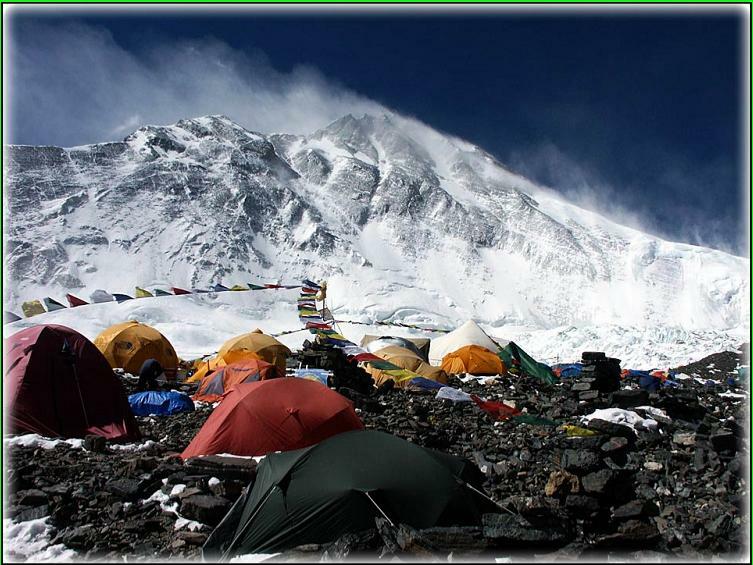 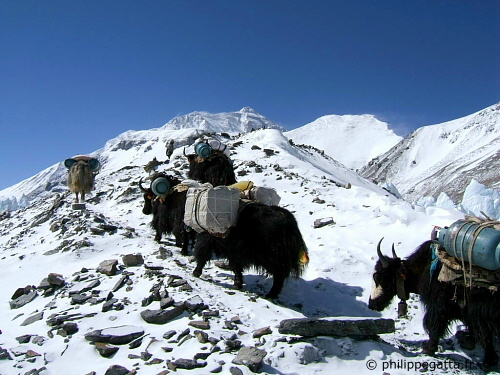 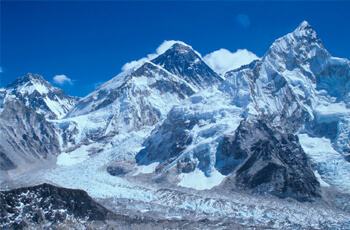 This is our day to reach Everest Base Camp (EBC). 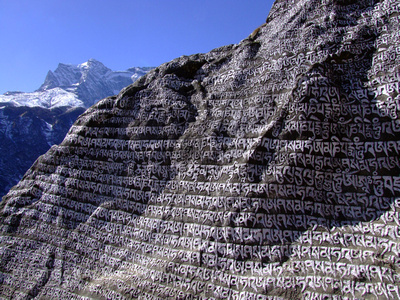 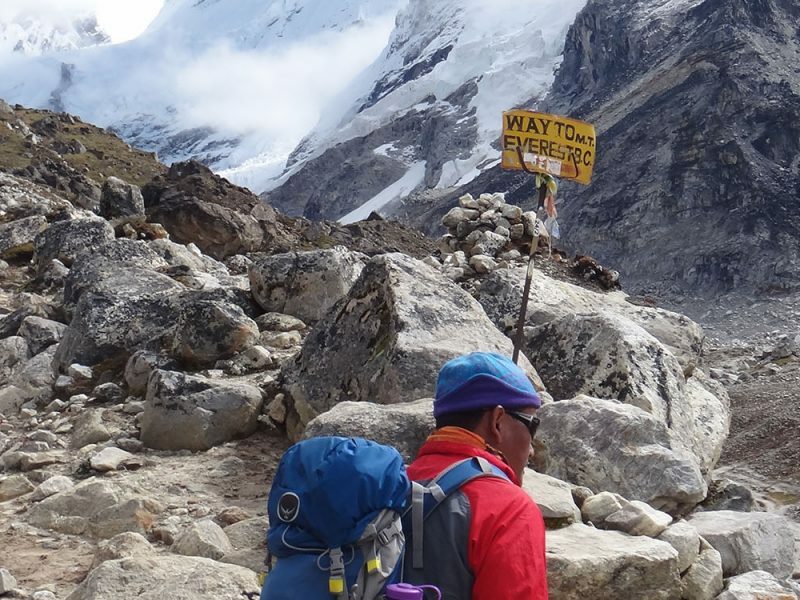 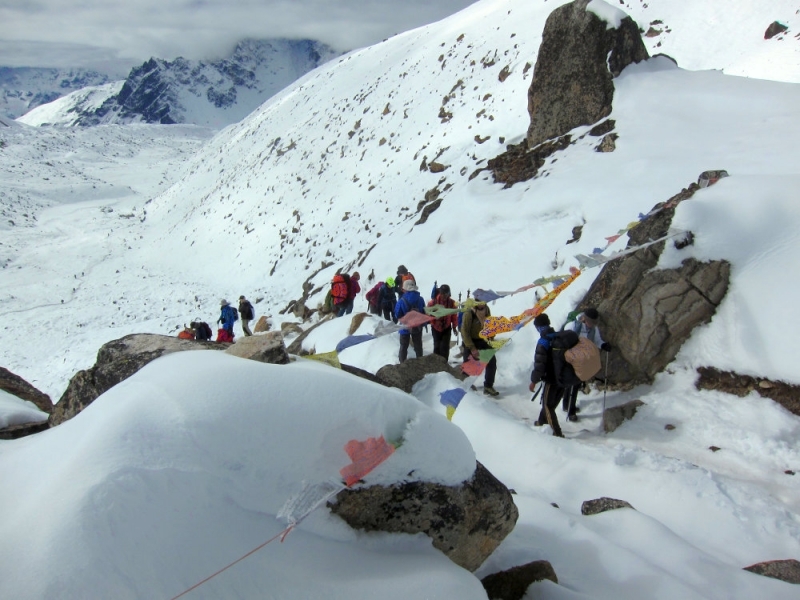 After breakfast, we walk along the rocky terrain alongside the Khumbu glacier to EBC.